Paper by The Hon. Marilyn Warren AC, Chief Justice of Victoria delivered at 23rd Biennial Conference of District and County Court Judges, Australia and New Zealand. 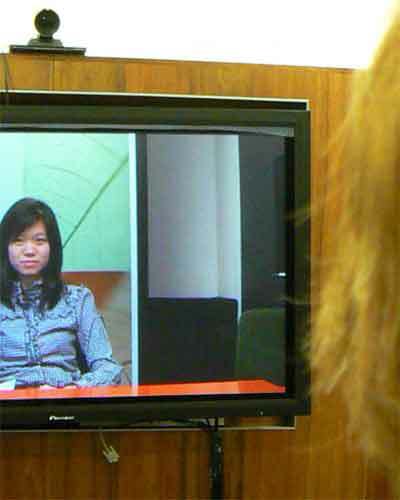 Imagine a court hearing that is entirely virtual: a judge presiding via Skype from the comfort of his or her chambers; barristers presenting arguments from theirs; witnesses giving evidence from their offices, anywhere in the world; and jurors watching it all play out from another venue. Imagine the judge and jurors being taken by the prosecution on a virtual tour of a crime scene, as if they were actually there, standing in the accused’s shoes. Imagine a court system where nobody need attend court at all. Where all documents are filed, served and viewed online at anytime from anywhere – a ‘paperless, people-less court’. Imagine an app that could predict your chances of success in litigation, or perhaps even adjudicate your dispute. Ten or twenty years ago it would have perhaps seemed ridiculous. The reality is that much of the technology necessary to achieve it already exists. The question for the judiciary is: how can we best embrace it? And importantly how can we best embrace it in a way, which aligns with our democratic role in modern society, that ensures efficient and affordable access and observes the principles of natural and open justice? This paper focuses on what we might look forward to in the future. It engages in a little speculation and postulates some ideas about the future of technology and social media in our courtrooms and how it might be embraced.